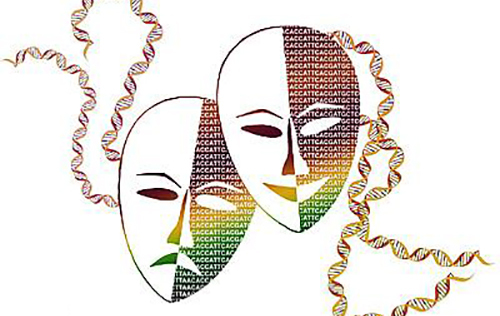 Scientists at Johns Hopkins University have utilized next-generation sequencing methods to identify 84 potential inherited gene mutations that may contribute to the most severe forms of bipolar disorder (BD). The investigators say their study—“Exome Sequencing of Familial Bipolar Disorder”—which recently published in JAMA Psychiatry, is one of the first to look at rare genetic variations in people with BD and may provide a more direct insight into the biology underlying the susceptibility to bipolar disorder. Bipolar disorder is a mental illness characterized by periods of alternating episodes of severe depression and ecstatic mania, with the anguished person trying for a happy medium in the swinging pendulum of high and low moods. Some early genetic studies looking into the cause of the disease used genome-wide association studies to search for common, single-nucleotide DNA base changes that individually turned out to have very small effects but, in combination, can explain a small proportion of the risk for bipolar disorder. The new study affirmed the need for DNA from a vast patient population to definitively confirm the role of rare mutations identified using the advanced exome sequencing techniques. Initially, the Hopkins team looked at eight families with a history of bipolar disorder through several generations, likely indicating a significant inherited component. Ultimately, the investigators sequenced the whole genomes of 36 family members with the disease. Examining only the portion of the genome that acts as protein blueprints, they identified 84 rare gene variations that stood out in these family members. In order to further verify that these 84 variations were connected to BD, the investigators compared them to versions of the same genes found in 3,541 people with bipolar disease and 4,774 controls without the disease. Interestingly, many of the genetic variations were found to be overrepresented in the bipolar cases, yet researchers caution that the data weren't powerful enough to show that any one specific alteration among the 84 rare mutations directly causes bipolar disorder, noting that patient sample size would likely need to be in excess of 10,000 cases to pinpoint rare mutations within a specific gene. However, the researchers did find evidence that genes from this study had previously been implicated in other psychiatric disorders, such as autism and schizophrenia, which provides additional support for the overlap of autism and schizophrenia risk genes with risk genes in families with bipolar disorder. “Once we can confirm that these rare mutations are associated with bipolar disorder in other samples, our plan will then be to integrate them with the more subtle, common mutations from the earlier genomic studies to better understand the cause of bipolar disorder,” Dr. Goes concluded.